'The Rocks at Whitehills', watercolour, 54 x 34 cms. 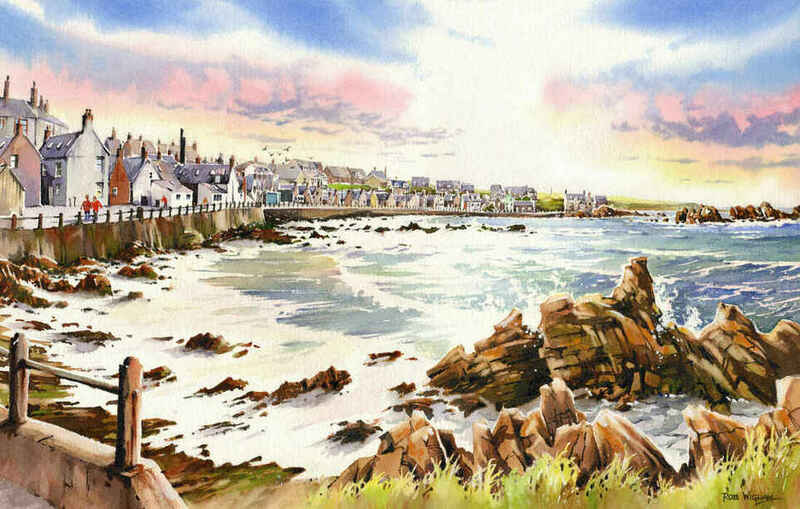 Whitehills is a very pretty place, sitting halfway between Portsoy and banff on the north Aberdeenshire coast. This bay is absolutely full of rocks just below the waterline and which are easily seen at low tide; the lovely little harbour/marina is to our right and behind us here, and entered through a deep water channel which is very clearly marked amidst all those rocks!